The healthcare industry has embraced the cloud. Many healthcare organizations now use secure cloud storage services to host web applications or store files containing electronic protected health information (ePHI). However, just because secure cloud storage services are used, it does not mean data breaches will not occur, and neither does it guarantee compliance with HIPAA. Misconfigured secure cloud storage services are leaking sensitive data and many organizations are unaware sensitive information is exposed. Prior to using any cloud storage service, HIPAA-covered entities must obtain a signed business associate agreement from their service providers. Obtaining a signed, HIPAA-compliant business associate agreement prior to the uploading any ePHI to the cloud is an important element of HIPAA compliance, but a BAA alone will not guarantee compliance. ePHI can easily be exposed if cloud storage services are not configured correctly. Configure your account correctly and your data will be secure. Make a mistake and data will be exposed and you could easily violate HIPAA Rules. When it comes to secure cloud storage, many organizations believe their cloud environments have been secured, but that is often not the case. How many businesses are leaving data exposed? 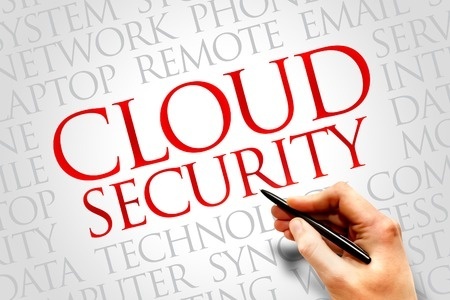 According to a recent study by cloud threat defense firm RedLock, more than half of businesses have made mistakes that have exposed sensitive data in the cloud. The report reveals many organizations are not following established security best practices, such as using multi-factor authentication for all privileged account users. To make matters worse, many businesses are failing to monitor their cloud environments which means data is being exposed, but not detected. The problem appears to be getting worse. RedLock’s last analysis for Q2 revealed 40% of businesses had misconfigured at least one of their cloud storage services – Amazon Simple Storage Service (Amazon S3) for example. A new analysis, published in its latest Cloud Security Trends Report, shows that percentage jumped to 53% between June and September 2017. One need look no further than the widespread misconfigured MongoDB installations that were discovered by hackers in January 2017. Misconfigured databases were plundered, data deleted, and ransom demands issued. More than 26,000 MongoDB databases were hijacked and held for ransom. Is it not just small organizations that are making errors that are resulting in data exposure and data breaches. The Equifax data breach, which saw the records of more than 143 million Americans exposed, was the result of the failure to address a known vulnerability in Apache Struts; a framework that supported its dispute portal web application. Equifax CEO Richard Smith recently told the House Energy and Commerce Committee that the missed patch was due to a mistake by a single employee. British insurance giant Aviva found out one of its cloud environments had been ‘hacked’ and was being used to mine Bitcoin. Kubernetes administration consoles were used to gain access to its cloud environment with ease. Its administration consoles lacked passwords. RedLock is not the only company to report on the problem. IBM X-Force said it has tracked more than 1.3 billion records that were exposed as a result of misconfigured servers up to September 2017. Training will only go so far. You can train your employees never to leave the firewall turned off, yet occasionally that happens. Bad errors can also occur in the cloud that will similarly lead to data breaches. Leave the door open to hackers and they will infiltrate cloud environments, steal data, and hold organizations to ransom. What organizations must do is to make sure all doors have been closed and locked. Unless organizations proactively monitor their cloud environments, they will be unaware there is a problem until it is too late.